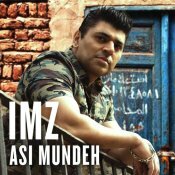 IMZ is finally back with his long awaited brand new smash hit single entitled “Asi Mundeh“, music by Jayanta Pathak! ARE YOU IMZ? Contact us to get a featured artist profile page.